Okay, I’m officially a dork for making that all rhyme. Anyway, I wanted to share some WONDERFUL news. …and to celebrate this wonderful occassion, I thought I would leave you with a couple of Imaginisce projects I have recently finished. Again, thanks for all the support and encouragement! 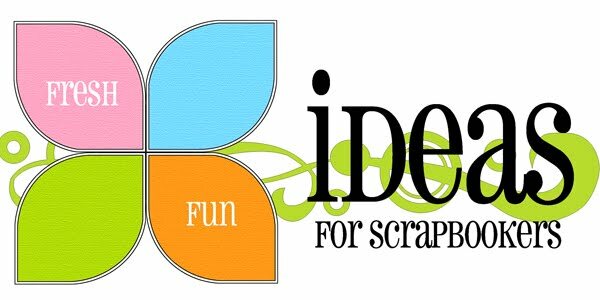 If you haven’t already heard, Pam Callaghan started a new blog called, Ideas for Scrapbookers. Seriously, it’s an awesome blog with great ideas, templates, sketches, and basically anything to get you out of a creative rut. I was so honored when she asked me to be a contributing artist for this blog because I LOVE her templates! 🙂 How could I pass up such an amazing opportunity?! Please join me in welcoming the other gals who will also be contributing to Pam’s new blog. fabulous! can’t wait to see some zutter/imaginisce works of art! Yayyy! Congrats!!! Excited to be on the team with you. 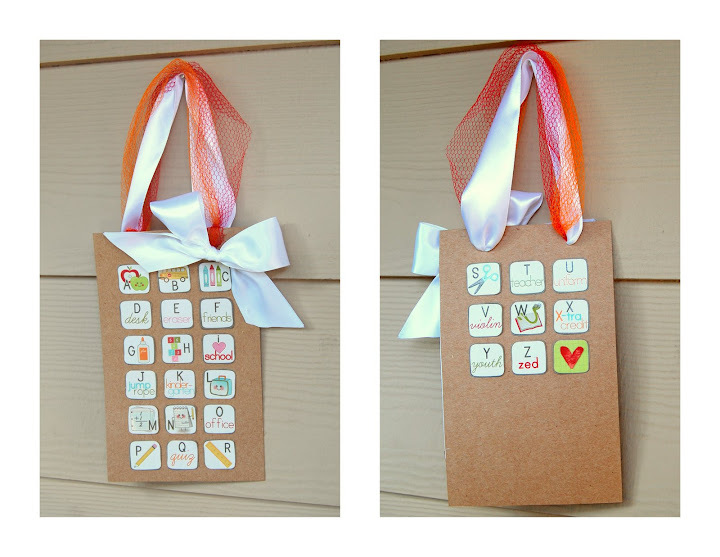 Love your A-Z wall hanging. Here’s to a great year! Congratulations! Thrilled to be designing with you and I see you are in CA too! WTG Sarah – so happy to be working with you! Thank you so much for linking all of us to your blog 🙂 Have a wonderful weekend. OMG Sara I am so excited for you girl! You ttotally rock! Super big CONGRATS to you!!!!! I love your dorky rhyme! Congrats! So glad to be working with you! Who the heck is this “Sarah Guzman” girl? Congrats Sarah! I can’t wait to get to know you and work with you! I am sooooo happy for you!!! You so deserve it, I LOVE your style!! Yeah!!!! Well someone has certainly had an exciting day! Congratulations girlie!! Awesome news! Hi Sarah, I’m going around to meet everyone, this is so exciting !! Congratulations on the new position!! That is awesome. WTG, girl!! hello,there! Congrats! !Can’t wait to see all of your designs. Congratulations!!! I look forward to working with you! Congrats!!!!!!!! I am so happy for you!! You are such a great designer and I look forward to seeing all of your fabulous creations. Congrats!!! How amazing! I look forward to seeing your wonderful creations!!! Congrats! I love your work! Can’t wait to get to know you! Congratulations and look forward to working with you on the Imaginisce DT! YOU ARE ON FIRE! WTG!!!! WOW Sarah, you rock!!!!!!!! CONGRATS!!!! LOL, I’m one of the 7 comments that didn’t have “congrats” in it. 😉 And I had the only comment that wasn’t a compliment! Yet, I was the only person who noticed the GLARING mistake! I’m so happy for you! Can’t wait to see what you’ll be creating!!! OMG you must be out of your mind excited! Wow…congrats! They made great choices picking you! Girl, you are such a supah-stah!! A huge congrats to you!!!! Sarah!!! Congratulations!! I’m thrilled to be on the team with you & look forward to getting to know you! Congrats girlie! I cant wait to see the feature artist as well ;)! Congrats on your DT!! That is so cool!! You so deserve it girl!! I’m so excited for you!! I saw you over at SRUS! I didnt submit to their DT, I was going to and changed my mind! Hope you have a Blessed Sunday!! WOW Sarah, congrats that is so awesome!! Love what you made (but I always do) Can’t wait to see what you are going to make for them!!! This is so awesome!! Congrats – they’re so lucky to have you! WOW! How exciting! Congrats to you! LMAO @ the comment you left on my blog :)! yay! i’m very proud of you. maybe next year for halloween i’ll dress up as your own version of “mario”. HAHAHAHA. Sarah, You rock!! Congrats on the design team positions! huge congrats! thanks for stopping by my blog! omg congratulations sarah!! you deserve this soo much you are amazing!! Congrats Sarah! I’m really looking forward to working with you!